Professional athletes are increasingly being proactive about protecting what they believe to be their intellectual property, from marathon winners like Des Linden who applied to protect “Keep Showing Up” to rookies in the National Football League. 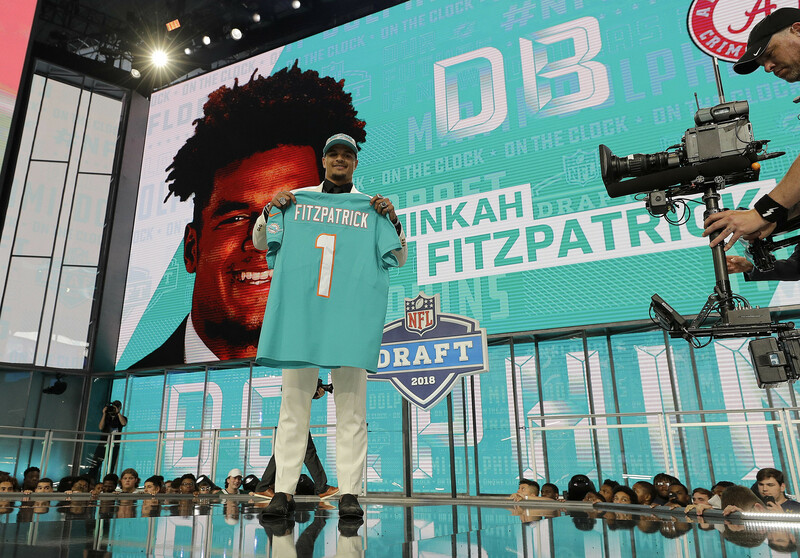 One of the more recent rookie NFL trademark applicants is Miami Dolphins rookie safety Minkah Fitzpatrick. The former Alabama stand-out has helped the Dolphins get a 2-0 start to the 2018 NFL regular season and is also keeping himself busy off-the-field as he tries to build a marketable brand. The application Fitzpatrick filed with the U.S. Patent and Trademark Office is to protect the mark “FitzMagic.” His filing, submitted on September 12, indicates that Fitzpatrick intends to use FitzMagic in connection with selling footwear, hats, headwear and other types of apparel. Fitzpatrick’s timing is interesting, because an NFL player colleague, Tampa Bay Buccaneers quarterback Ryan Fitzpatrick, is having his amazing on-field performance referred to as “FitzMagic.” It creates the potential for two NFL players to have a trademark dispute. That said, Ryan Fitzpatrick has not filed a trademark application for FitzMagic and has yet to proclaim that he intends to commercialize the word. Meanwhile, another NFL quarterback has been busy trying to get the U.S. Patent and Trademark Office to consider his mark for registration. Minnesota Vikings quarterback Kirk Cousins filed to register “YOU VIKE THAT!” which the Vikings are currently considering opposing. Minkah who? This punk was in diapers the first time someone called Ryan Fitzpatrick Fitzmagic, that nickname is his. This kid has some serious nerve to try and steal another NFL player’s nickname, especially a veteran who is still playing. I hope karma treats Minkah Futzputrid accordingly.